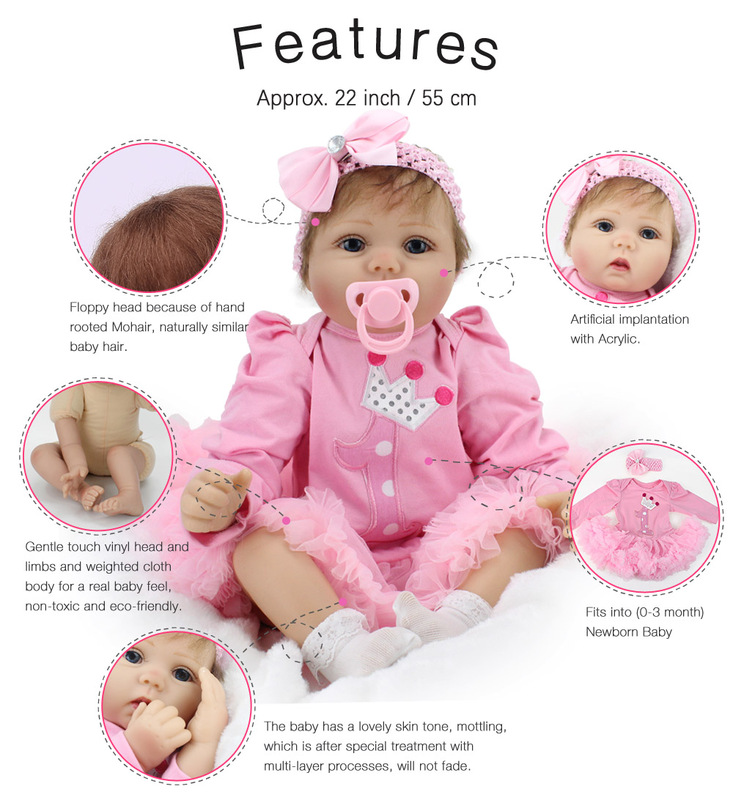 Brand: Kaydora, 100% handmade & high quality Reborn Doll. 22"/ 55 cm from head to toe, with Gentle Touch vinyl head and limbs. This reborn dolls wear real baby clothes size"newborn" or "0-3 month". 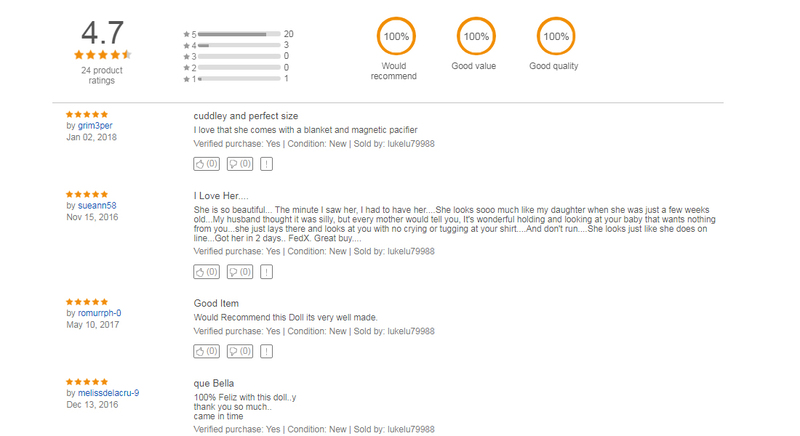 A: This reborn baby is made of high quality vinyl silicone vinyl,the body is cloth body. A: Please don't worry, it has a gift box.